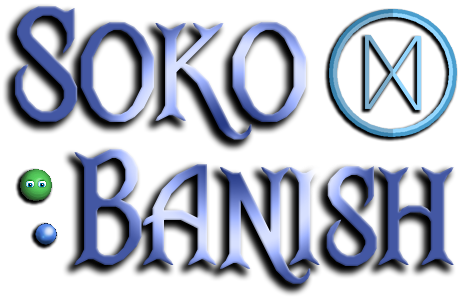 Soko Banish 1.5.0 is out, adding custom skins, solution saving and more! The editor has also been updated to 1.4.1 to support the new skins. Who would have expected demons? When Ardos Balmung found himself in the ruins of Greifenhausen, he found all the soulstones removed from their banishing circles by a supernatural quake. If he cannot move them back and neutralise the demons inside, inferno may break loose! 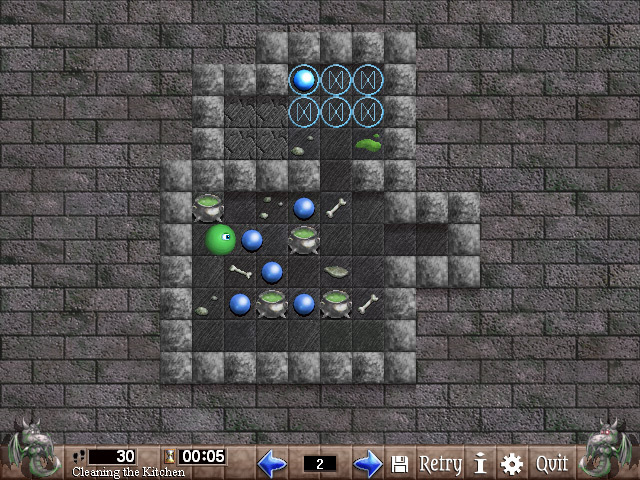 Help Ardos push all the soulstones onto rune circles in this puzzle game based on the classic Sokoban, but watch out: as in the popular classic, stones can only be pushed and not pulled, so try to avoid unwinnable situations that would surely spell doom as you uncover the right sequence of moves. Open gates, avoid roaming ghosts, and when all challenges are mastered, use the Level Creator to create your own for more fun! 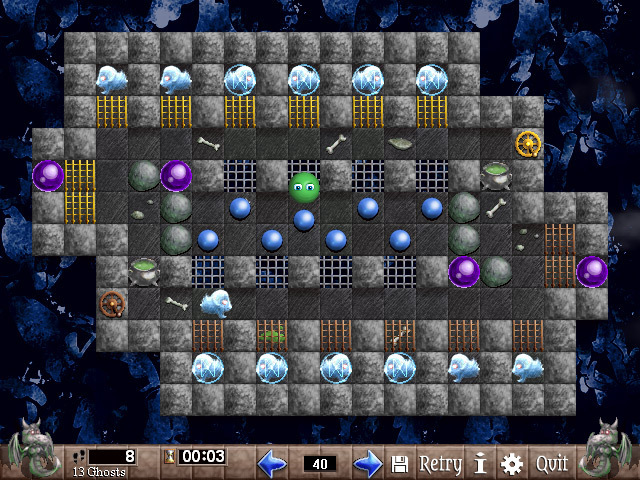 The classic object-pushing game with new game elements. 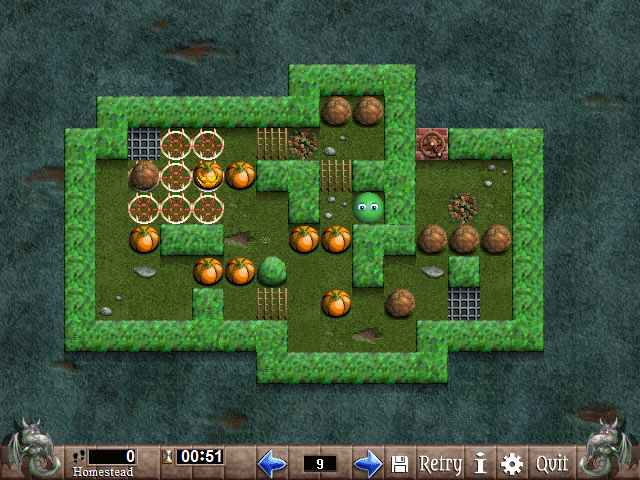 Solve puzzles and avoid ghosts in 44 levels + add-on sets. Save your solutions, use custom skins and track your progress. 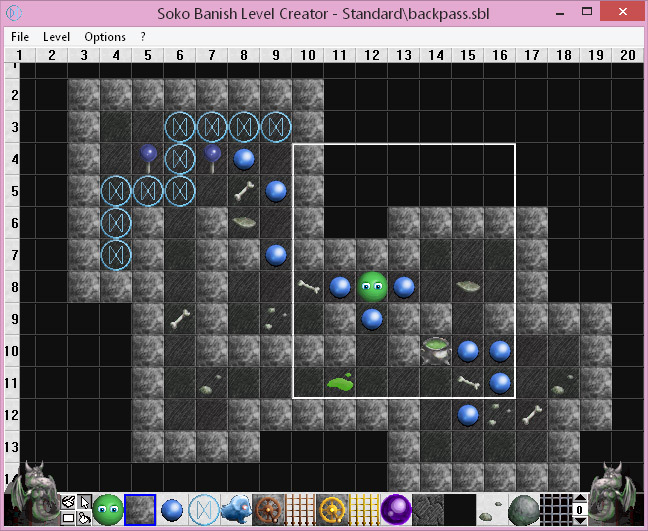 Grab new levelpacks below, or use the Level Creator to make your own! Updated 3. August 2018. Includes the game and levelpacks "Tutorial" and "Standard". Unzip level set folders directly into the game's "levels" directory (make sure you have the latest version installed). If you have made any levels you would like to share, please send them to tammy@lanschilandia.com (the list is updated manually, so be patient).